As WordPress is the most widely used content management system, almost any error you will run to has most likely happened on multiple occasions and already has a solution. Especially due to WordPress’s open source nature, bugs and errors are constantly being worked on by the community with helpful articles and discussion boards popping up virtually all over the internet. When using WordPress to build and manage your website, there’s a lot you will read about what you should be doing, but you may not know that it’s just as important to understand what you shouldn’t be. 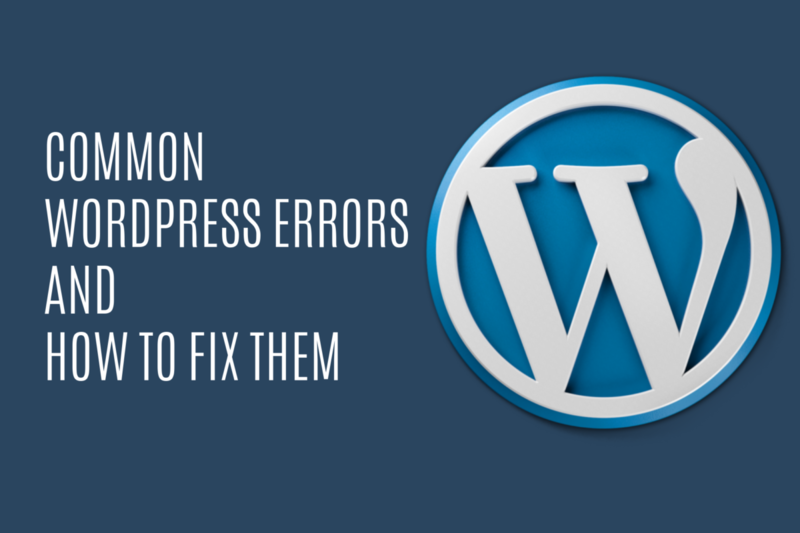 Through this article, you will learn how to avoid the most common WordPress errors, and if you happen to find yourself in one of these, how to best fix them. If receiving an error when attempting to add media to a new post you’re creating, you may want to try this long-term troubleshooting solution. Most likely, this error is the result of conflicting scripts from a theme or plug in you’ve installed. Start by deactivating the plug ins and reactivating one at a time to see where the error gets triggered from. If that doesn’t work, it could be your theme, so try switching to a default template either permanently or reach out to the designer to see if there is a fix. It’s easy to spot an image issue, as the image won’t be visible and you’ll see a broken image icon where it should be displaying. Most likely, the wrong file permissions are the culprit. Simply reset the file settings back to normal and watch the images come back to life. If you’re a WordPress beginner, this mistake is pretty commonly made. WordPress has a designated section within each post to upload a feature image. Though you won’t see it in the back end within the content of your post, once published or scheduled, it will be set to display as the feature. Frequently, the user will add the feature image again at the start of the body copy, resulting in a duplicated lead off photo. By using the feature image box only, this can be avoided completely. If you’ve accidentally published with the two photos, simply edit the post by removing the photo in either the copy or the featured image section. 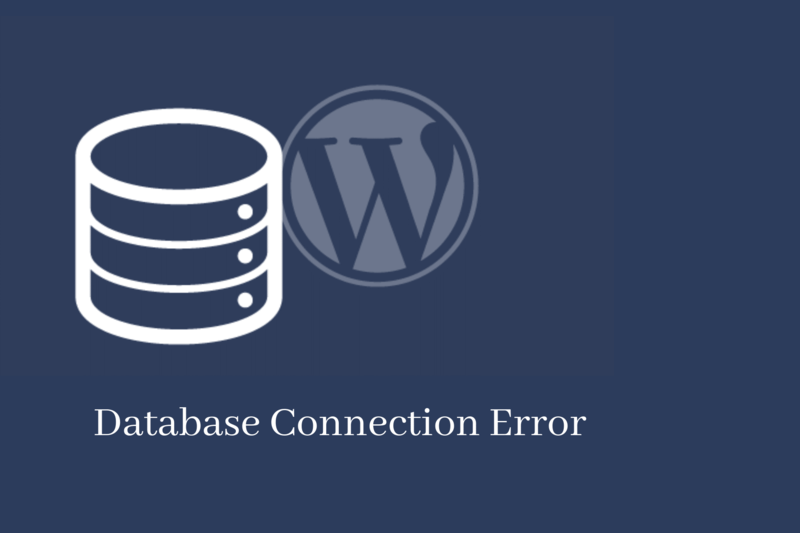 So, your site is finally up and running and all of a sudden your screen has an error message titled “Error establishing a database connection,” now what? This is perhaps one of if not the most common issue, and can be easily resolved. Typically, this occurs when you have inaccurately either changed or saved your database credentials. Sometimes there is another underlying issue that will take some research to resolve. Start by contacting your hosting provider who should be able to shed some light on whether there’s an issue on the server’s end. If all looks good, use the FTP or file manager to access the wp-config.php and check all of your log in information, including the database name, db_username and password. Update any issues immediately, and that should resolve this error. If not, there’s a possibility your site was hacked, so definitely run a scan. If this was the issue, then immediately update your username and password, and restore the site from it’s most recent back up. This type of message would be served to a visitor if the site can’t locate the page indicated in the address bar. This one is relatively simple and occurs because the permalink is incorrect. Just reconfigure the permalink from your settings tab, and voila! It’s likely that at some point over the life of your website, you will encounter an error of this type. This specific error message would be displayed if you have a corrupted plug-in, theme or .htaccess or could also show if you exceeded the memory limit. You can expedite a resolution by increasing your memory, more commonly by renaming your .htaccess file and refreshing your site or by deactivating the plug-ins you’ve added to your site and setting them live one by one to see which one causes the error to occur. Sometimes, there may be an issue that frustratingly shows no error message, and instead just loads a blank white screen. This could mean one of two things, either you don’t have enough memory or the theme you’ve selected is not properly coded. Easily resolve either of these issues by increasing the site’s memory limit or switching to the default theme and disabling all corresponding plug-ins so you can go one by one until you find the cause. This one happens to the best of us – you get locked out of the admin backend of your account. Whether it’s user error or the admin has been hacked, simply change your password or add an admin user via phpMyAdmin. For authentication purposes, WordPress adds a cookie in your browser for the URL entered next to the WordPress Address field. If you try and access from a URL that doesn’t exactly match what is entered, this error will occur. Making sure in your settings section that the WordPress and Site Address fields are exact matches will eliminate this. Overall, WordPress is a relatively straightforward content management system that is easy to navigate. The user-friendly aspect of it allows you to avoid many errors all together that those creating websites through other CMS options would most likely encounter. That doesn’t mean you’ll never experience an error though, so it’s better to be prepared. These errors are most common for a reason, so don’t get frustrated if one of these occurs. Simply follow along with these steps to resolve the issues, and feel free to reach out to the WordPress community for help along the way.